Domestic Violence Awareness Month (DVAM) evolved from the "Day of Unity" held in October 1981 and conceived by the National Coalition against Domestic Violence. The intent was to connect advocates across the nation who was working to end violence against women and their children. After Years of knowing women who were victims of this violence, it hit home for Shemeka when she learned of the abuse her daughter had endured. 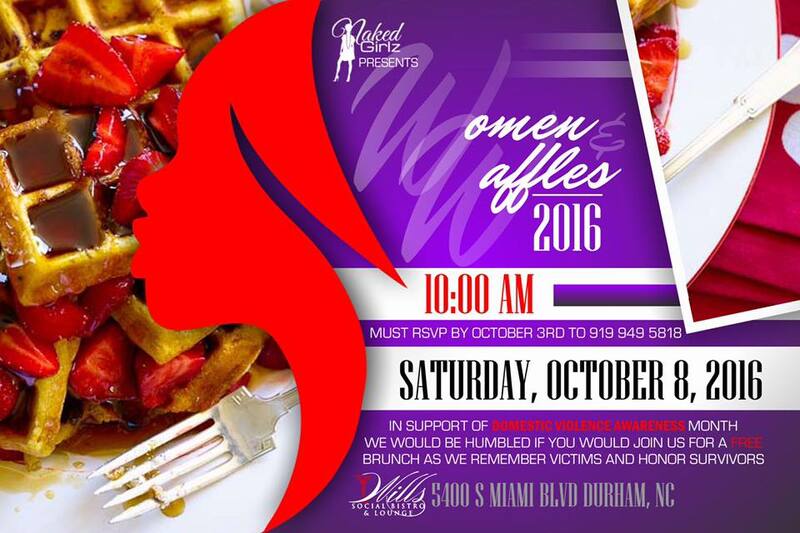 The entire process sparked a desire to give back and gave birth to Women and Waffles. 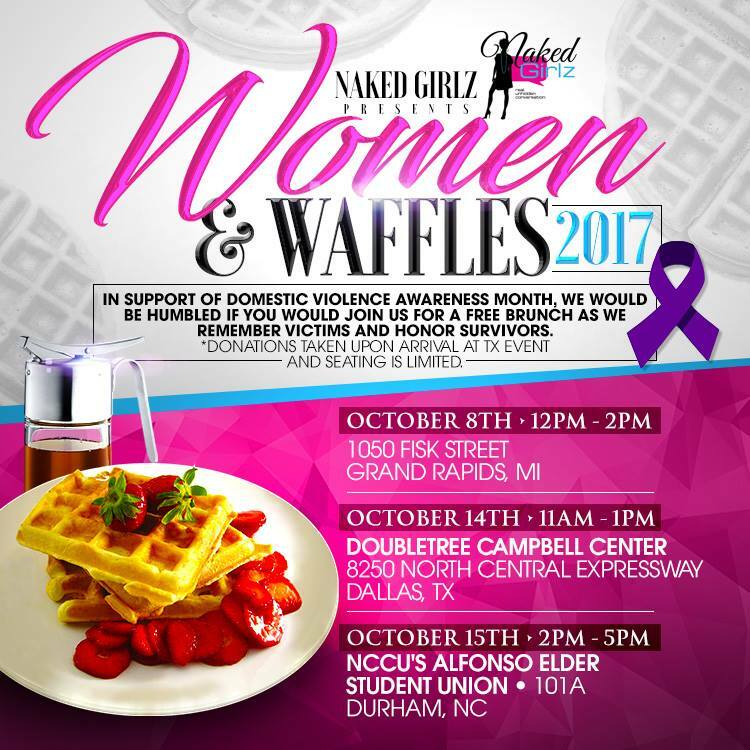 Since 2015, The Naked Girlz has sponsored a brunch for battered women and those that love them. It is a free event for all attendees. For this reason, if you find it in your heart to donate, please partner with us so that we can continue to be an outlet for women, and an avenue of love and support. Thanks in advance. As always, remember to Keep It Naked!